In today's world, the desire to create a strong marriage and family is not enough, it takes a new mind-set, a new skill-set, and a new tool-set to deal with the challenge. The principles of The 7 Habits provide a time -tested mind-set and skill-set. 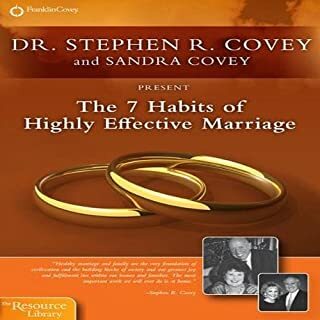 In this program, Dr. Stephen R. Covey and his wife Sandra along with his brother John and his wife Jane offer insights and personal experiences in applying these proven principles to marriage and home. The Focus workshop presents an engaging and inspirational learning experience and will change your life in ways you never thought possible. With this audiobook, you will begin a process and journey to a new way of thinking about personal and professional focus and accomplishment. You'll learn how to identify and focus on the tasks and priorities that matter most so that you can deliver maximum results every day. You'll learn to turn the things you have to do into the things you want to do. Dr. Covey and master facilitator Steve Jones introduce you to the FranklinCovey workshop that has already helped 10 million people become more productive. Having been a fan of Dr. 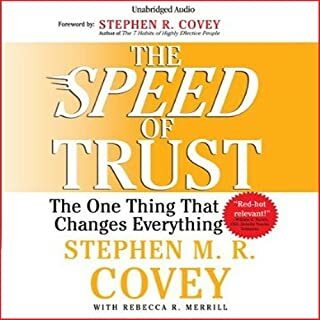 Covey's work for many years, I regret to say that this audio program is just a total waste of time. As other reviews have stated, there is absolutely nothing new here. 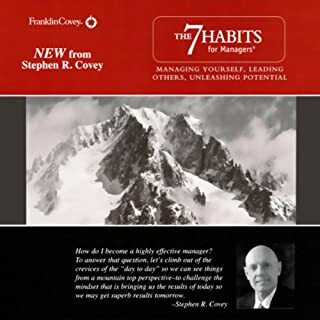 Maybe I was expecting too much - I really felt that this beautifully assembled package could perhaps offer new insights on Covey's 7 principles, but, no that was not to be. Yes, the production values are reasonable, but it's the content that disappoints. The whole presentation consists of a Focus seminar presented in a very dry monotone, with occasional 'consulting' type overviews by Covey, only mildly raising the boredom level. I think with this one, 'you had to be there'. For the very first time I have had to force myself to listen to a Covey product all the way through, repeatedly shaking my head in despair. There is nothing in the least inspiring about the content or delivery. 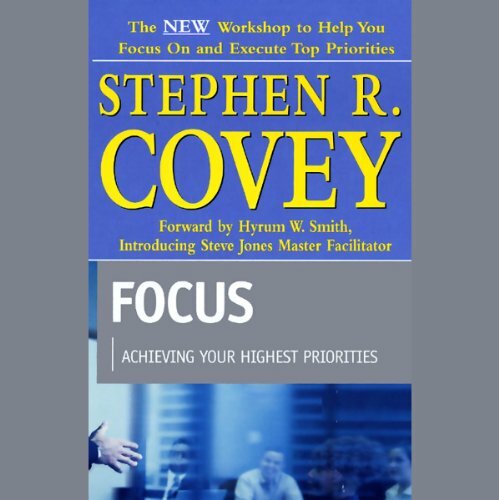 It certainly would not make me wish to sign up for Covey's 'Focus' seminars. I think the only way to make this a value for money product would be to bundle it with a Franklin planner at the same price. Avoid at all costs. There is nothing at all new here. Just a rehash. Don't waste your money, in my opinion. In addition this is merely a teaser for a Workshop, as is stressed many times during the presentation. My first real disappointment from Audible. I do sympathise with those who complained about a lack of forms etc for this. As someone who uses the FranklinCovey software I found this an excellent resource and it has changed the way I do stuff completely. If you're not familiar with the seminars/books/organisers then this will be a problem - if you are this is a must listen product. I had just attended the Focus workshop a couple weeks ago and decided to get the audio as a refresher for the workshop and see if there were any additional it might offer. This audio is a condensed version of the one-day workshop. In fact most of it is audio from an actual workshop that was held and that portion is not read by Steven Covey but a workshop facilator. The principals and practices are very helpful, but the material may be hard to follow if you don't have prior experience with a FranklinCovey planning system and/or with the Seven Habits book. What did you love best about Focus? There are certain books that I come back to time and time again. The Seven Habits of Highly Effective People being the one I most often return to, but certain productivity books are also on that list. This is a favourite that I listen to typically at least once a year. An excellent reminder about what is important and how to plan your day. Yes, things come up in the course of the day, but as I am known for saying.... "The only thing that we know with certainty is that something WILL go wrong - what, when how critical and time consuming remains to be seen. When everything is well planned and organised we will be able to handle the curve balls thrown our way." 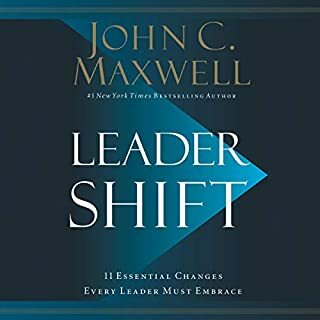 Listen to this audio book, apply the principals and let it change your life! very thorough...you are basically at a seminar teaching the concepts of the Covey/Franklin system of planning. I have used the Franklin Covey planning methods for years and I found this book to be an excellent resource for refreshing my drive to implement the system daily. The book focuses on the Time Management Matrix and the Productivity Pyramid. Both of these concepts can be applied to any planning method that you may use. 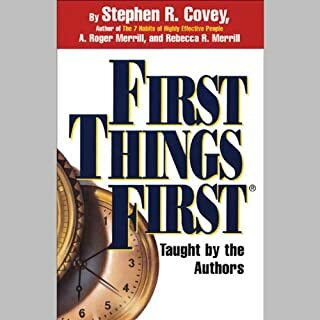 The last fourth of the book is about the Franklin Covey paper planning system, however there are comments mixed in about how to do various functions with other systems or software. My knowledge and use of Franklin Covey allowed me to enjoy and benefit from the last fourth of the book. People without this knowledge and/or experience may find that part hard to follow, however the real benefit of this book comes from the first three fourths of the book. I recommend this book to everyone. If you haven't used a planning system or find it hard to follow the last fourth of the book, I would recommend not listening to it. Don't lose sight of the knowledge gained from the first part of the book by being frustrated by the last part. Excellent refresher for those who read the 7 habits book. And it showed how to refine on what to do first by priority, not by ease, and to plan priorities by weekly not daily. Good refresher. 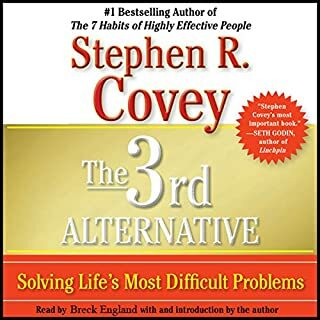 While Steven Covey has much to offer the world, and has written great books that do help many people live richer and more fulfilling lives, he should not read his own material. I've seen him speak before and he really is not very charasmatic with the result the I find listening to his read extremely difficult and boring. Fantastic book. it is clear, concise and strikes at the heart of the issues at hand.